Certificate of authenticity How to Make a Certificate of Authenticity for Artwork. QR code for traceability NEW! SECURE QR code for the traceability of works. EASILY create YOURSELF your Certificates of Authenticity! Many artists use certificate of authenticity as a means of adding facts about an artwork, and to prove its authenticity. 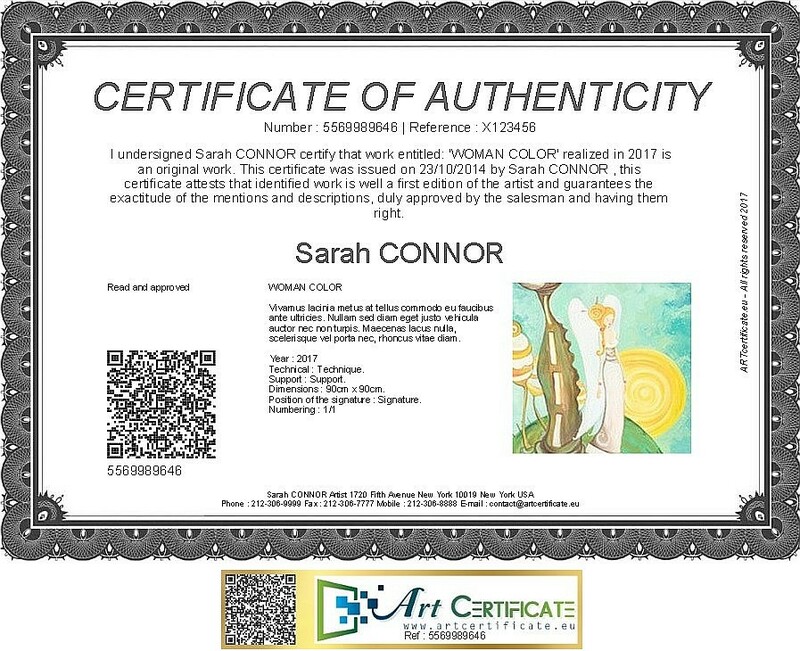 The certificate contain information such as title, medium, date, signature, etc., which can possibly make an art buyer more comfortable with buying an artwork. Print yourself your Certificate of Authenticity! Full version in PDF format 21X29,7 cm, Adjustable size for printing, Various template models, a free Certificate of Authenticity is provided at when opening a new account, Additional certificates: 0,85€/unit. 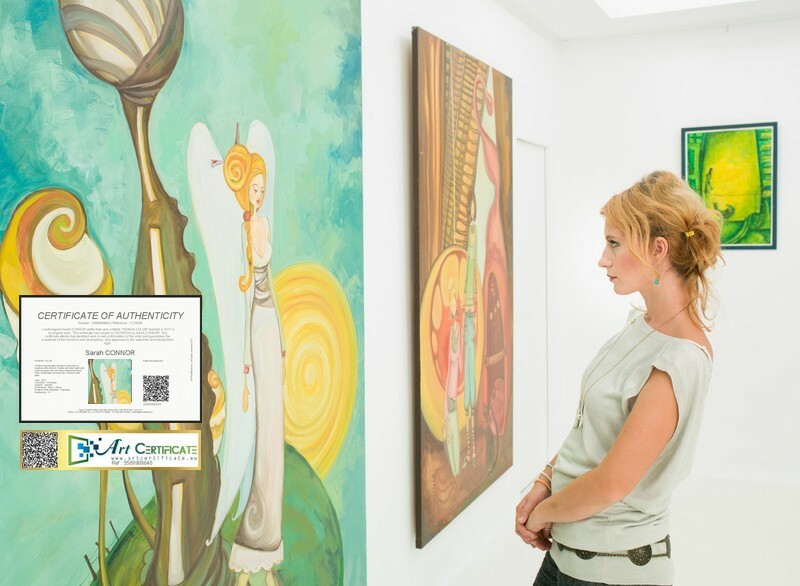 Each Certificate of Authenticity is issued with a QR code, in order to easily locate the work of Art on ART certificate. The QR Code is an international standard that helps smartphone users to easily access on-line information. Art certificate offers on-line analytical software that allows to locate an artist objectively on the art market, based on a precise questionnaire. The quotation gives an index to the linear centimeter and an average price, allowing to evaluate the price of sale of the works of the artist. Virtual exhibitions for artists, galleries and museums. Without walls or windows, Virtual exhibitions can be visited at any time! ART certificate offers you the possibility to quickly and easily create your virtual exhibitions through presentations perfectly adapted for each artist and his/her work. You want to create your Certificate of Authenticity, but you are not a computer expert! We will provide you with all the necessary information, for you to create your Certificate of Authenticity. We will also help you to resize your photos, if necessary.